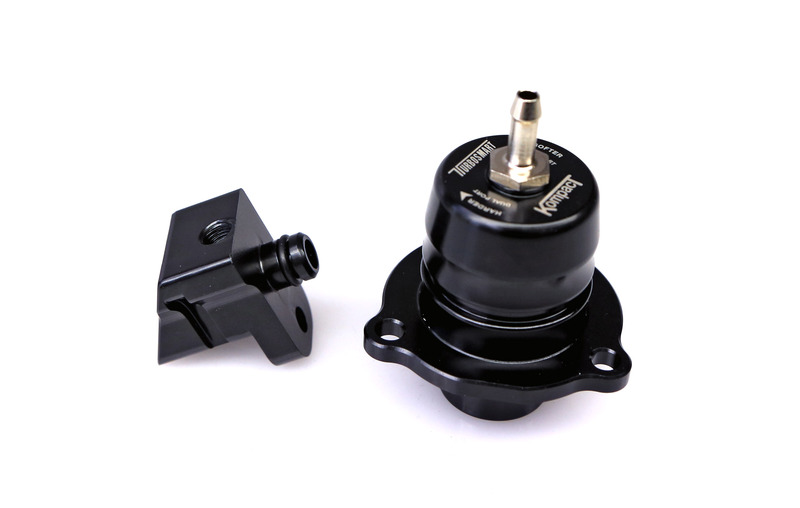 This Kompact Shortie Blow-Off Valve for VAG 2.0 TSI engines takes performance to the next level. These are high performance replacements for the standard diverter valve. They are machined from aircraft grade aluminum, bolt up to the factory location, and offer all the technology from TurboSmart's race-bred BOV range in an OEM-replacement package. The Kompact Dual Port is a 50-50 vent-to-atmosphere and recirculating valve. It ensures enough air is recirculated back through the intake to keep your ECU happy while ensuring quiet operation and performance. TurboSmarts Kompact Shortie does not leak, bleed boost pressure, or struggle with increased boost on tuned vehicles. It eliminates compressor surge, which allows the turbo to operate longer to its full potential.